.You don’t have to major in a quantitative or preprofessional field to be employable. The University of Illinois at Urbana-Champaign has now collected campus-wide data, for the second year in a row, on what students plan to do when they graduate. 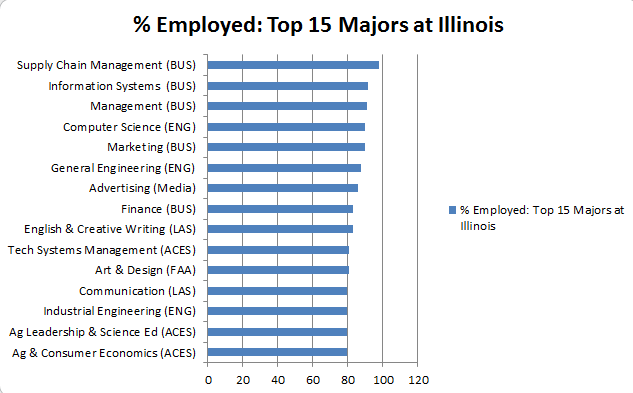 The numbers in this chart are from the full report on the Illini Success survey for 2015-16. This entry was posted in why get an English dept. BA? by KW. Bookmark the permalink.